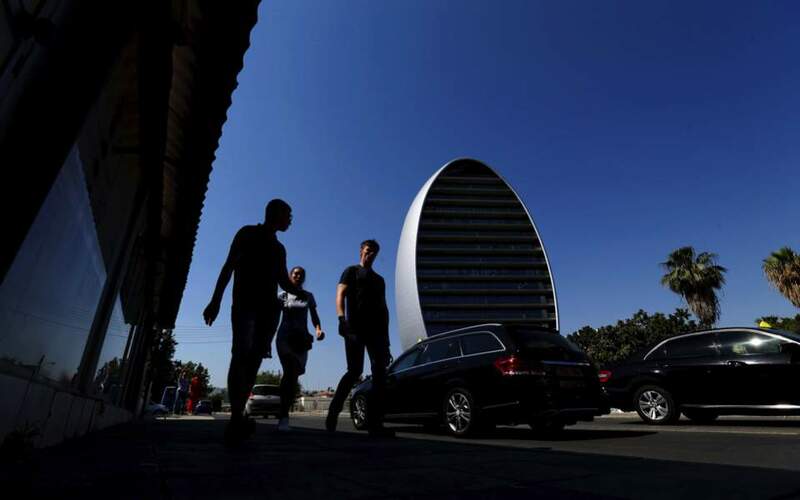 People walk along a street next to the Oval building, one of a number of new high-rises transforming the skyline view of the southern coastal city of Limassol in the eastern Mediterranean island of Cyprus. The oval-shaped building with a gleaming metal skin, set close to the sea on a Mediterranean island, resembles a sci-fi portal into another dimension as it reflects the intense July sun. Among them is what government officials say will be Europes largest casino resort.